The long awaited Ford's EcoSport will finally be here in couple of weeks from now. In a first global media drive to be held in Goa later this month, Ford has invited apprximately 150 automotive experts and automotive enthusiasts from India, Australia, New Zealand, South Africa and Taiwan. 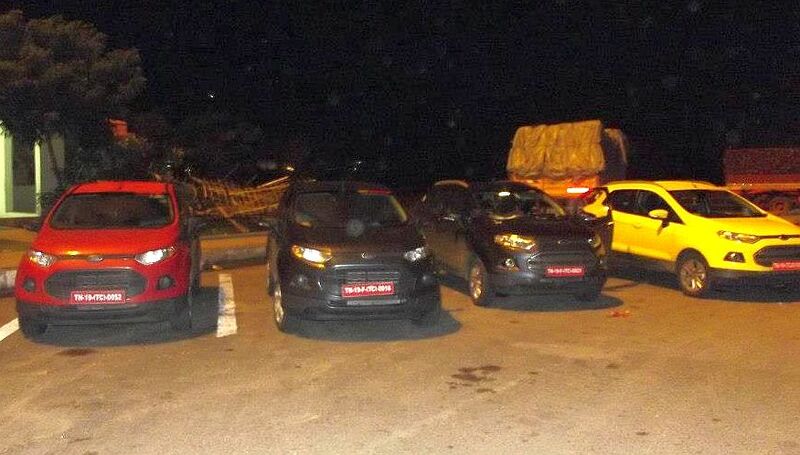 The reason is - Ford's EcoSport will be manufactured in India for all the right hand drive markets. This is purposely done to have economies of scale and keep the prices of the model down for one of the most important Utility Vehicles market - India. “We are hosting one of India’s most comprehensive and largest product ride and drive programmes with more than 150 participants from markets including India, South Africa, Australia, New Zealand and Taiwan and our dealer principals from across the country driving the Chennai-built EcoSport across two weeks,” said Joginder Singh, president and managing director, Ford India. There has been a lot said about the vehicle, since last 1.5 years since the first time it was displayed at 2012 Auto Expo in New Delhi. There has numerous spy shots, details, engine specifications, colors, etc etc. The only thing left out now are the prices of the EcoSport which is said to compete directly with Renault's Duster and could change Ford's fortunes in India as Duster did for Renault. Expect Ford to support the Industry too apart from helping the car manufacturer Ford. The industry too is going through a rough patch and needs some models which could boost their sales in India. EcoSport could be one challenger here.